There's nothing better than a pop-up that becomes permanent. From MeatLiquor to Senor Ceviche, when an idea gains momentum, good press and the all-important backing to set up shop and open bricks and mortar, you know you're onto a good thing. Last year was unequivocally the year of the burger. Everywhere you looked, toasted brioche and pulled pork were making an appearance and things were getting a little stale but there was always one name that shone through the crowd. So much so that I can't believe it's taken me until now to finally check out Bleecker Street Burger. 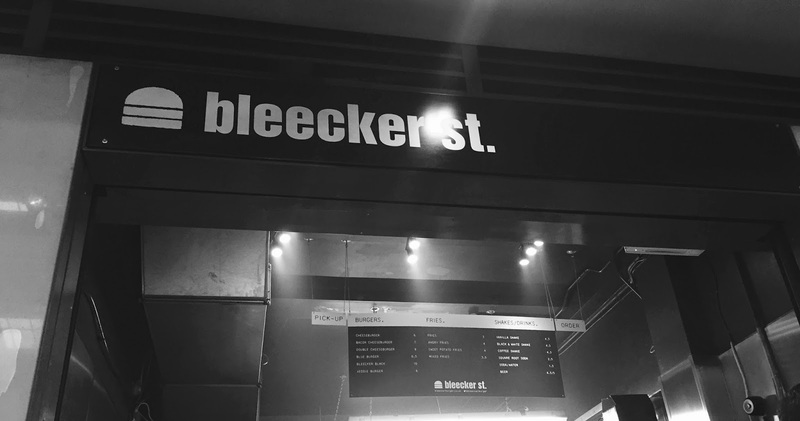 Starting life in a van, then at Street Feast and Hawker House, and now in its own small but perfectly formed stall in Spitalfields Market, Bleecker Street brings New York style patties to London's streets. We headed down for a post-work bite in the week, overjoyed that we could comfortably sit on the benches outside without feeling like we were in the Arctic, and ready for some serious meat. It was too tempting to order the same thing but in the quest for best burgers, we had to sample more of the menu so I chose the Blue Burger which turned out to be a beautiful combination. A gloriously rare patty topped with melted blue cheese and lettuce all sandwiched in a non-brioche bun - the rich flavours of the protein melted in unison and the bun managed to resist a breakdown and hold itself together right til the very end. Bonus points to Bleecker. But what really stole the show was the Bleecker Black. 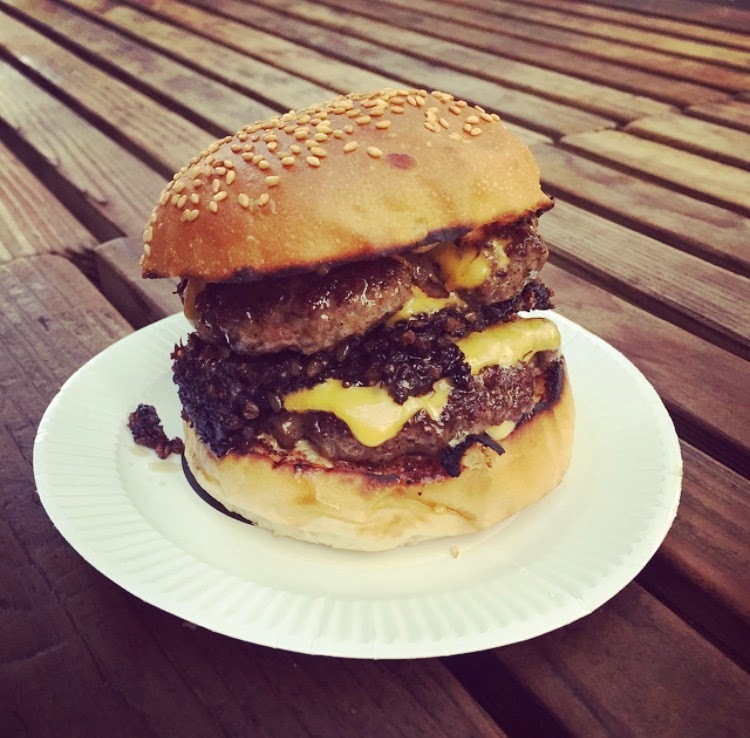 Two signature patties with cheese and the ultimate black pudding - a monumental achievement in burger brilliance that we quickly declared to be one of the best things we've ever put in our mouths. Coupled with the angry fries (crispy fries liberally doused with hot sauce) and a couple of cans of Brooklyn, we are now completely hooked. I had high expectations following the hype but to have them surpassed is a really nice surprise. A definitive five out of five and many definite return visits on the cards.